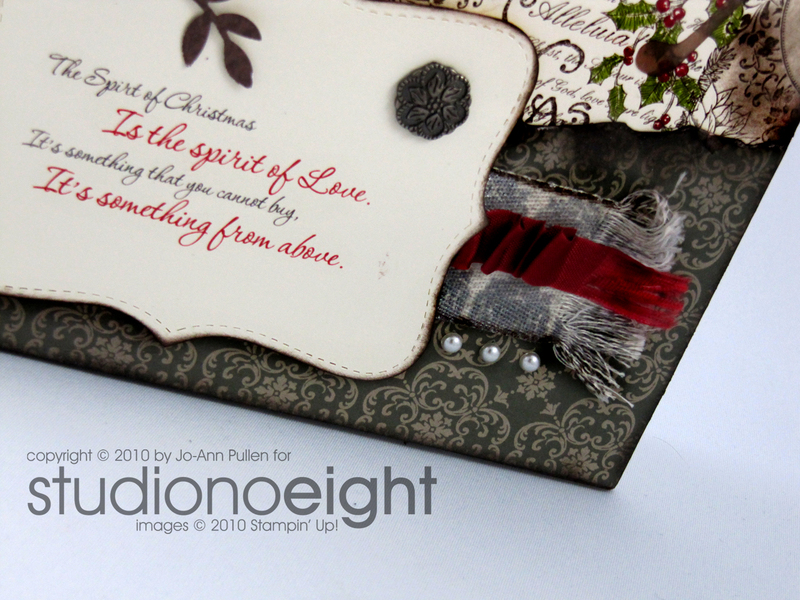 OK I can hear you now, "enough with the Deck the Halls Designer Series paper", but I really can't help myself. So be patient with me as I continue on my journey of having fun with Deck the Halls. Next week I promise after the next project (and your going to love it) I will promise to do something else using different paper etc. For this workshop using you guessed it Deck the Hall Designer Series paper create a 8" x 8" canvas art. 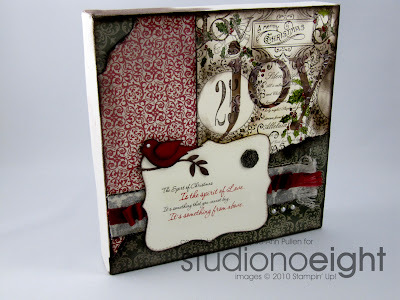 Like the Picture Frame see here and the Scrap booking Tin see here continue to enjoy the vintage look and feel using canvas. 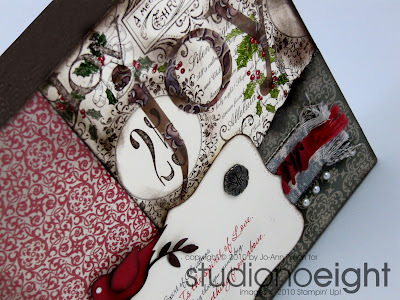 For this design I tried a few different techniques the first is embossing on twill tape ribbon, not the easiest but I do like the effect. Next time I will try using satin ribbon and see how that works. The second is designing using vellum letters. 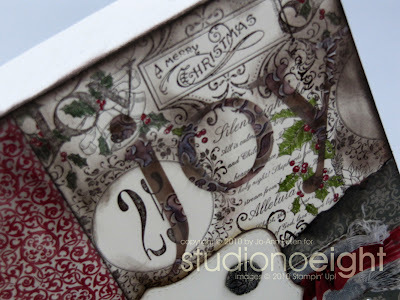 I cut out letters using vellum cardstock then I used the Big Shot and a embossing folder and passed it through getting a very cool embossed look. Then I took those letters and a sponge dauber and with Early Espresso I coloured each letter rubbing lighter to change the colour and harder on the embossed part to get darker effect. I will try this again later using larger letters or shapes to see what I get, but so far I love the look. What do you think? This canvas art is perfect for anyone in your family, so simple and fun to create you will want to make more than one. You can either hang it on a wall or sit on a table or even a easel. The 45$ fee includes all the supplies necessary (except for your adhesive) to make one canvas art. Spend $50 CAN before taxes and get the class for $25.